to our world with love. I'm going to keep todays post short since I've spent most of my day actually doing my PAD. I'm not going to include details about what it make/model it is because I don't have affiliate's and as a new blogger, I'd rather folk didn't think I do. I might in the future (for the sake of keeping it real) but it's not something I'm ready for. If you are interested in what it is you can leave a comment for me. But I love it already and I only have the basics of. Obviously I wanted to play straight away and the first thing that came to mind was a teddy, so I found a silhouette and started outlining. I couldn't get the sleek lines I was after but I kept reminding myself that I've never done this before and tried my best to be patient with myself. Then I discovered brushes...yes, even that is new to me. So far my digiscrap experience has been limited to using elements I've collected from other designers, but I want to grow. 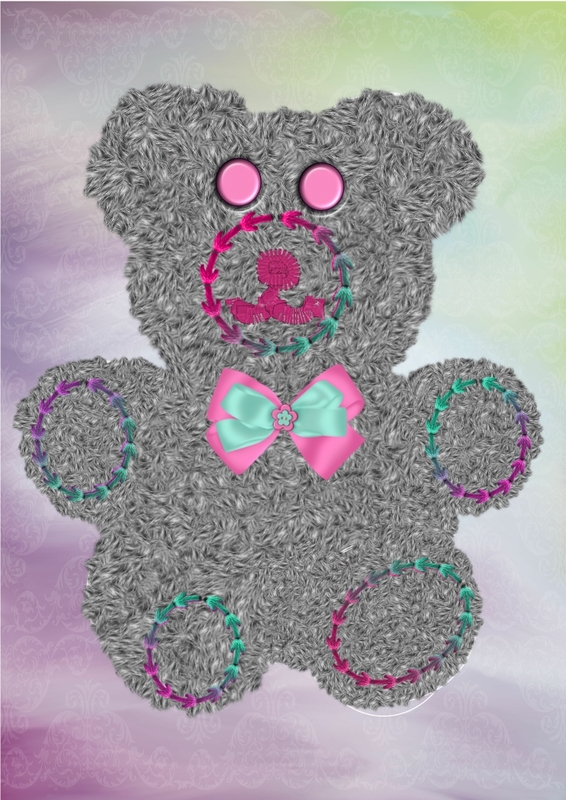 The "Teddy filler" brush in my package was perfect but I struggled with the thread colours changing because of the thread texture (does that make sense to you?) which is why the colours look a bit wiggy. I'm really useless with the colour sliders so I like to use different sources to make use of my colour picker-so I went to my Pinterest page for inspiration (As one does, right?) and there it was. Would you believe that I used this pallet for the threads? 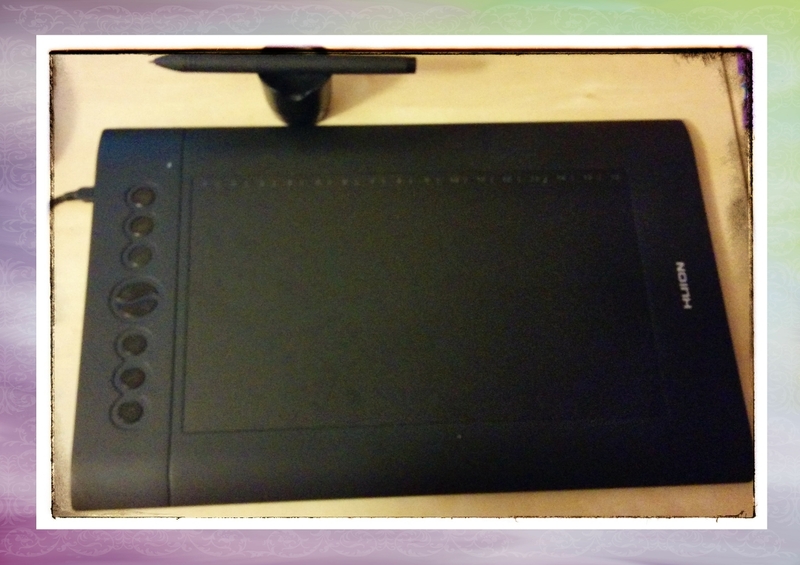 So there you go:) My PAD for today and my first ever digital drawing. I hope you're all having a wonderful weekend. 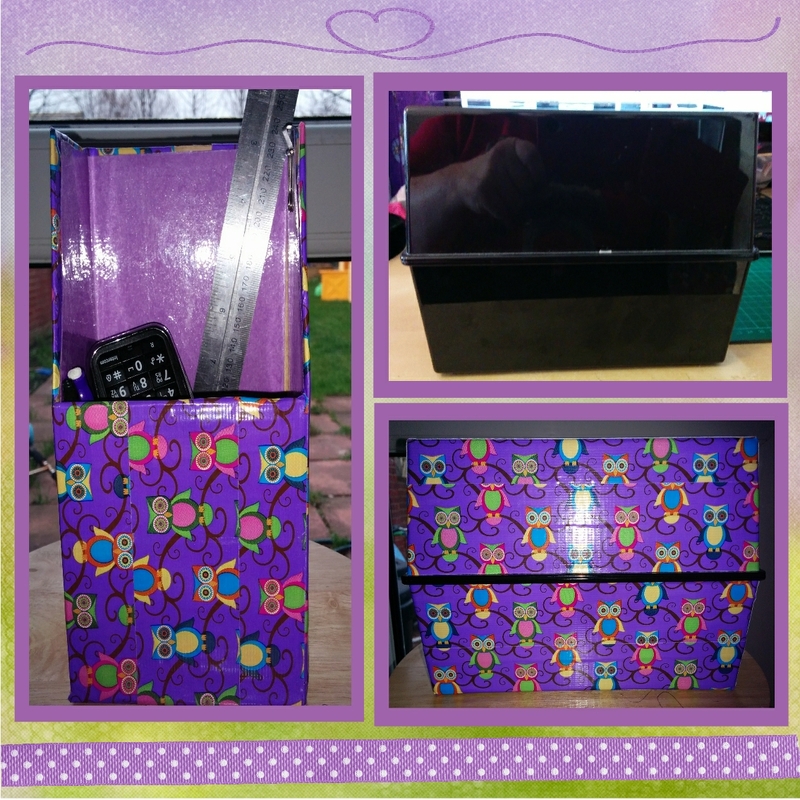 Duck tape makes everything pretty. Today's PAD was inspired by THIS PIN on my decorating board. I had never heard of "decorative duct tape" before this one. My sister in law was visiting from South Africa for a few months and I was looking for ways to help her make her room look more like her. We had installed basic Ikea furniture and so her clothes were to be stored in those see through plastic drawers. I now have a set of them in my kitchen, where I store my bathroom stuff (It's a long story, maybe one day when I'm big I'll take you on a tour?) We covered them in some pretty Parisian themed tape. And now I love Duck tape. When I first went looking for it, I found some at Asda and I was so excited. But once I had finished the stash I bought (No, a crafter NEVER buys *just* one) they had sold out with no plans to restock! I was gutted. I shelved my plans for some more drawers and maybe some office bits, based on the fact that what I could get online from within the UK was rather bland and I didn't want to pay postage from across the pond. This is what the inside of my "Index Card Box" looks like right now. If you're familiar with Flylady, then you've heard of a control journal. Now Marla devised her system based on The Index Card System devised by Pam Young and her sister, Peggy Jones. They call themselves "SHE's (Sidetracked Home Executives) and they wrote their book of the same title in 1977. I had read so much about them on the Flylady website that I wanted to know more so I bought their book. 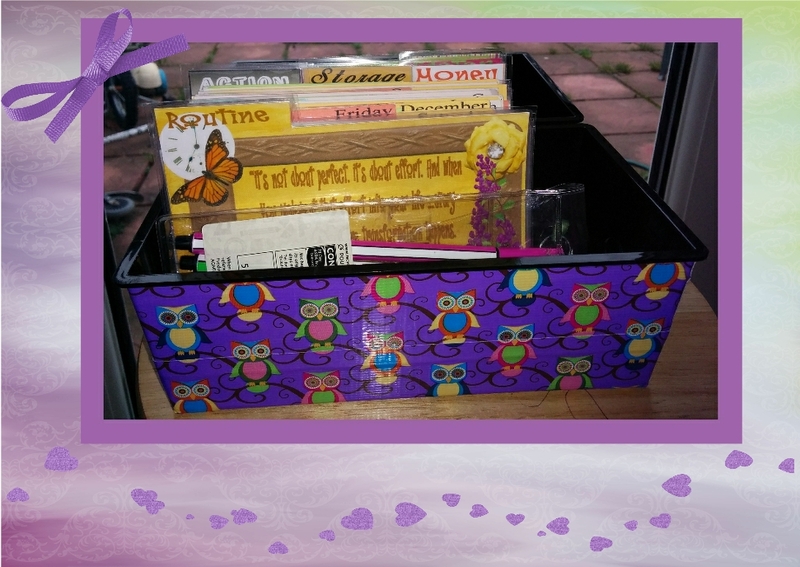 I loved the sound of the Index card box-I am a bit precious and the thought of trying to add stuff to books and binders without it becoming messy made me nervous. So I rushed out and bought my box and a pack of index cards, but then the "make pretty" kicked in and it grew a bit more than I expected it to. I might show it to you in sections in a series later as I work on it, but for now the crux is it contains all the things you'd find in a control journal-routines, contacts, cleaning plans, that kind of thing. Now it's not:) Please forgive the glare. I am working on my photography skills. Once I finished the index card box I got to thinking of how my phones always sit on it and then need moving when I want some information from inside. I remembered a box that I had got with some tension rods in it and hunted it out. It was just the right size for the two phones and some basic stationary, and so my matching organiser was born. I have a lot of plans for this year, plans to be better at a lot of things, so I think of this as my "clean kitchen sink". The place from where the other things will grow. I'm starting to get a better sense of the direction in which I want to go-so I hope you'll pop back in to read about how I'm progressing?